Stefen Ammon, MD, is the Co-Medical Director at Castle Rock Adventist Hospital in Castle Rock, CO. He's been with USACS since 2017. Dr. Ammon is board certified in emergency medicine. He earned his medical degree at the University of Colorado and completed his Emergency Medicine Residency at the Denver Health Medical Center. 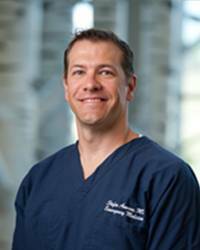 Outside of the ED, Dr. Ammon enjoys fly fishing, skiing, exercise and spending time with his wife and young son.